Thanks for an excellent article. I want to use such a bridge to a “single device login” (hotel etc) to a spare router and rebroadcast my own SSID. The challenge will be automating the “login credentials” which are normally entered into their redirected login page. (Open network with redirect where no active session). I’m hoping to find that info or work it out. Off to purchase my first RPi !!! Oh… And picking up the hotel subnet / assigned address and gateway then including this in the forwarding tables? Hey I have been trying to do this now for a few days however I cannot seem to get it to work. I am having to use a wpa_supplicant.conf file – as I am currently trying to access my university internet to bridge my connection to my Xbox One. I can get my pi to connect to the internet, however whenever I update the /etc/network/interfaces file to have the static eth0 ip information, on the reboot my wifi dongle doesn’t connect to the internet (cannot ping google.com), and therefore as a result when I reach step 5 I cannot download the dhcp server. I know this is quite an old thread but would love it if you could help me out. This worked very well, I appreciate the thought and effort you put into explaining each section. I believe it should be sudo sysctl –system two hyphens not just the one. Other than that it worked great, thanks again. No need for “Stage 5 fixing the routing”, just remove the gateway from eth0 in /etc/network/interfaces, and it will use the gateway defined in the wlan0 interface instead without needing to change routing. I did the above using your guide but using a reserved DHCP ip for the wlan0, and it worked. I did however use dnsmasq instead of isc-dhcp-server, as I prefer that. It sets the eth0 DHCP details to use the eth0 ip as the gateway for DHCP clients to connect to. 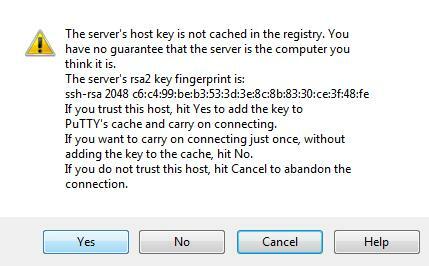 I also found this point, Stage 5 fixing the routing is not stable method, gateway will go back 192.168.1.1. for remove gateway for eth0 is the solution. i tried to enlarge the swapfile to 2 GB course i thougt that ram is not enought but no it works only for about 6 sec. Thanks Robin. works like a charm. learnt a lot from your article. Now while my TV has got internet connection, I am unable to use services like miracast, DLNA, wifi remote apps etc offered by TV. This is because the TV is on an “internal” network with Rpi, so it doesnt appear to devices connected to the wifi router. I am trying to work out if there is anyway to “publish” these services on the wifi, so that devices could connect. if i am able to do that it will entirely eliminate the need for a wifi dongle. any thoughts that you may have? I have also looked at this but not managed to get a stable solution. I have tried a range of possibilities and return to it from time to time but have not been successful so far. I believe it’s due to the pi’s routes not being communicated to the wlan0. Whether that’s due to ARP not using IP transport, and so WPA is rejecting the ARP data, or that more configuration is needed on the pi to advertise the routes, I don’t know, but I’ll have a look into it. Sorry, forgot to mention, adding the route manually to a computer on the wlan0 side sorted it out, which is why I figure it being ARP. great guide, Robin! I used it, adapting a little bit, for my Radxa. And it’s working! You guide is not only usefull to create the bridge, but to understand too the basic concepts behind bridging methodology. Great Robin! Again my compliments for the guide. Well done. The ‘bridge’ is working: i tested with my pc and 3 ethernet devices (1 sat decoder, 2 bluray disk players): it is able to go on internet and receive packets. all ethrenet devices (192.168.2.x) are unable to find/use a dlna server I have installed on my modem/router (192.168.1.1). why? I did something wrong during setup or it is a common behaviour? and if a common behaviour what is the root cause and howto solve? I think DNLA IS a problem with this set up. It won;t work properly over different networks, but requires all the devices to be on the same network branch. I and others have spent some time trying to find a work around, but to date I am unaware of a working solution to this problem. In any case, Robin, great job! I’m not a Linux expert, but I work on IT matter. I will try to do additional test and inform you about outcomes. it works great .. but … how can I access the lan-connected devices per ssh? My main network is 192.168.178.1 and my new network is 192.168.179.1. My lan-connected device has the ip 192.168.179.10 but all tries to ping it failed. The device can access the internet without problems but I cannot access it directly. When I originally wrote this (quite a time ago now!) it was intended to allow my tv to get an internet signal, and it is fine for that. However as you have found out you can’t easily go in the other direction. It is like your internet router. Stuff outside doesn’t know about your machines on the local network. You would have to have a route established from your local network machine so that it knew where the machine on the ethernet port of the pi is located. I am not a guru on such matters, but I hope you can work something out. I think I can do two things. Thats a bit more work for every Pi but should be work. Thanks for the great article and explanation behind the commands. I’ve been trying to replicate this but everytime I connect the ethernet cable the Wifi shuts down. I’ve seen on other pages that removing ifplugd or including eth0 allow-hotplug would solve those issues. However, I have allow-hotplug eth0 and removed ifplugd as well and still everytime I connect the ethernet cable the wifi shuts down. Removing the ethernet cable brings back the wifi so this seems to be an automated process. Also, I have a 2A power supply, some people suggested lack of power which is not the case. I’m new to Linux and the raspberry pi so this is a strange behaviour which I can’t seem to pinpoint the cause. Any clues on how to manage the automatic disconnection of wifi when ethernet cable is connected? Thanks for the very interesting tutorial. I’m new to Linux and the Raspberry Pi and this was a good introduction to what it can do. However, I have a problem. Whenever I connect the ethernet cable the wifi adapter shuts down. If I subsequently disconnect ethernet, wifi goes back on. It does seem to be an automated process. I’ve looked around and people seem to point in three solutions all of which haven’t worked for me: a) stable power – I have a 2A adapter so not an issue; b) allow-hotplug eth0 – I had already included this command in /etc/network/interfaces; c) remove ifplugd – I didn’t have this command installed to begin with. I’m running the latest alpha4 OSMC for a raspberry pi 2. As I’m new to the Pi I’m not sure which files I should look at for automated processes. Any ideas on how to keep the wifi connected when ethernet is connected as well? It defeats the purpose of having the TV connected to the internet using an ethernet connection. EDIT: Sam Nazarko helped out. There’s a connection manager file which has specified this as a ‘SinglePreferredTechnology’. In /etc/connman.conf, changed the instruction to ‘false’ and it’s working fine. EDIT2: when rebooting the wifi doesn’t come on. Also, the ethernet IP address does not seem to be static and using the one inputted in /etc/network/interfaces. I don’t have the system built at present, but I have configured it several times and have not had the problems you describe. Double check you have done all the steps in the article. Generally I would advise against plugging wifi dongles in or out while the Pi is running. I think later models may be OK, but it certainly upset early ones. Thanks for getting back to me. I’ve since managed to sort out my issues. OSMC uses connection manager instead of the typical interfaces file in /etc/network and IP tables. They key is to edit the connman.conf file in /etc. This created static IP to the ethernet port. However, I don’t think this is really necessary. The way that ConnMan routes traffic from wifi to ethernet is by using tethering, completely different approach to the one in this tutorial. I ran the the command ‘connmanctl tether ethernet on’ to turn on the tethering for ethernet and getting internet through it.. On my next reboot the Pi was routing traffic to the ethernet and my TV has internet! Result! Glad you got it sorted out, and that it is working for you. Thanks. Mihal. This has been raised before. For some reason the page doesn’t display this correctly. There ARE two – – in the script on the page, but they merge to one. I have now added a note to clarify this. Has anyone tried a (transparent bridge) setup whereby your TV would ‘dhcp’ (via the wired-to-wireless bridge) direct to your home router? That way there would be no need for any ‘static’ address configuration on either the wlan0 or eth0 – e.g. 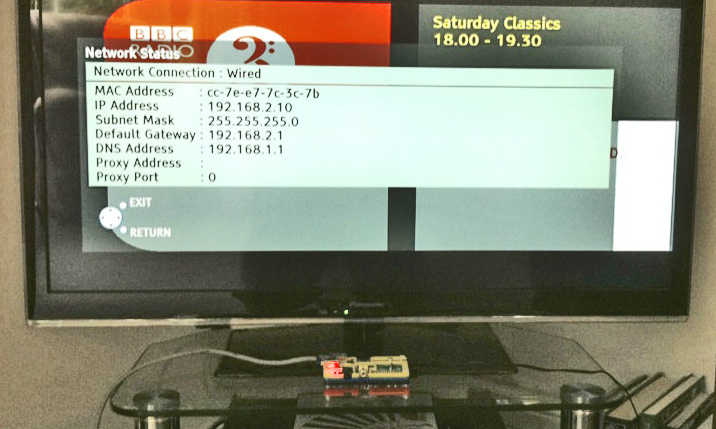 the Rpi would be transparent, and the router would see the TV as just another wireless device. Albeit, you would lose your ssh capability to the pi. This would also allow one to place an Ethernet ‘hub’ off of eth0 and connect additional devices that would also ‘dhcp’ (wirelessly via the Rpi). What you describe is exactly the setup I’m looking for. Would be great to do this. Otherwise, the tutorial works like charm! Hi – I’m having trouble with the setup of this. 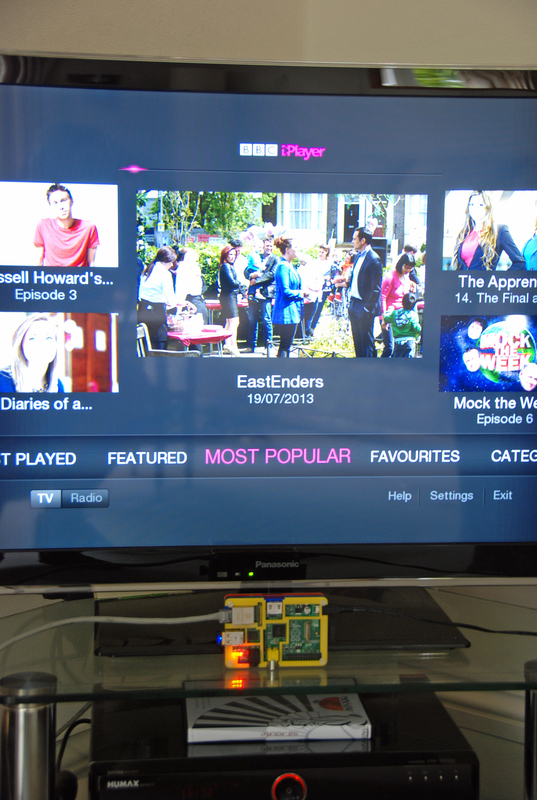 On the initial setup of the Pi (using Raspian) I can get online no problem. When I change the interfaces file, I can no longer get online wiith the pi – it doesn’t appear to connect to my router. I have tried both manually following your post line by line and also by downloading your files but neither works! The wpa_gui no longer shows the wlan0 device either. Please help!!! Sorry to hear you are having problems. It is not all that clear from what you say how far you have worked through the article, and at what stage you are having problems. At the end of stage 2 did you see two ip addresses listed when you did ip addr, one for the eth0 and the other for the wlan0 interface? You mention an eth0 address of 192.168.2.1 so I guess you have progressed beyond that stage, as this is the address I specified in Stage 3 again at the end of that section did you see the two ip addresses on the RPi at the end of the boot process? After you have set up the iptables you have to fix the routing as in Stage 5 before things will start to work. You should end up with a routing table like the SECOND one shown in stage 5. Hopefully if you reboot and startx you should be able to use the wpa_gui to connect via WiFi again. A further reply. 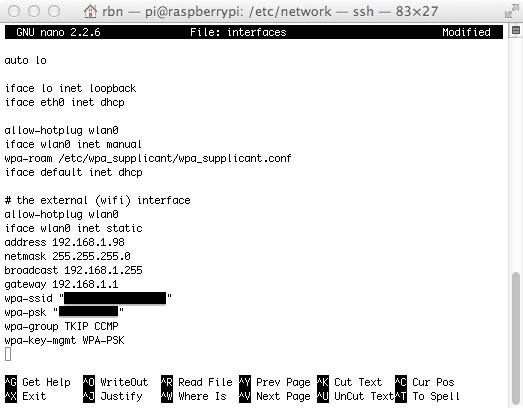 Greg, I tried out the project on a Pi2 with the latest Raspian distro, and I too had problems with the wlan0 interface. I did some research on teh internet, and came up with a solution that appears to work. Se the amendment published here today Hope it works for you. It is working fine on my Pi2. Worked for me as well! Thanks for this. Now I am wondering if I want to undo it again. 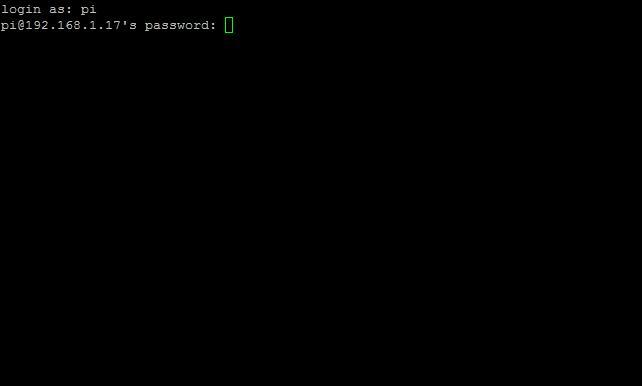 How can I do it the most fastly by using terminal commands? So, this will allow use of DHCP on the wlan0 inteface? Yes, I confirmed that it works fine with those changes when wlan0 is DHCP. can you publish the backup of your image ? If you mean an image of the SD card I don’t think I have room to do that on my site. Otherwise not sure what you are after. yes, that´s what i mean, your SD card backup image, can you send with wetransfer, please. Awesome guide, I’ll be using it to set this up for my own Rpi project. I will add a further complication to the mix in that I want the wlan0 to connect via a VPN service. There seem to be guides for that so hopefully they’ll play nicely with the wireless to wired setup. Not really a good idea just to switch off. You may get away with it but you could corrupt the sd card. There are several articles about using a shutdown script triggered by an input to the GPIO pins if you google for them. A better idea. Best thing is you don’t need to know the TV’s MAC or IP, fiddle with routing or run a separate DHCP server. The above proxy-arp approach simply proxies your TV onto your existing wireless LAN. Thank you very much for the tutorial – I learned so much from it! I used your method to turn a RPI2 into a router and a DHCP and DNS server (using dnsmasq) on my autonomous robotic vehicle. The machines on the LAN behind the PI-router run a distributed robotic system (using ROS) among themselves. I have one problem that I am trying to solve: I need to be able to connect to any machine on my robot’s LAN directly from the outside. My robot’s LAN is static 192.168.2.1 (eth0) and my wifi (wlan0) is static 192.168.0.200. At the moment, I am unable to ping, say from 192.168.0.13 to a machine on my robot’s LAN (e.g. 192.2.31) and I would like to change this situation. I tried hacking setupiptables script, but I have not been successful. Could you (or anyone) please give me some pointers/ideas/advice on how I can connect to any machine on my robotics LAN from the outside? i can see the networks inside the local network. which features a headless AP NAT webserver. if ONLY i could get the iptables correct…. Thats exactly what i have searching for. Thank you so much. My Receiver in my living room has only an ethernet connection. Thanks man, Literally the easiest guide out there for this. You did a great job man, thank you. FANTASTIC that’s all I can say about this. I tried to install it the hard way, following instructions but it failed. I downloaded you .zip file and did ADMENTMENT as step 8A (before installing DHCP) and it ran without problems! Excellent, thank you so much for your work and explanation of how things work. Let me be the first to say: Congrats, Neil! I’ve been following this site from day one, and have loved every single day of awesomeness that it has delivered. You deserve all the success coming your way. Keep it up!AWESOME! I used the concept to connect a computer out of range of the wifi to the internet. After doing all the steps I had the problem, that the connected computer had no access to DNS, i.e. ping 8.8.8.8 worked, but ping google.com did not. I got a small problem with the resetiptables. When i’m trying to execute the resetiptables script.. i get an error..
U know what the problem can be? I assume you are using sudo to run the program. Rather than creating the program yourself have you tried using the downloadable version in my zip file? Thank you so much, it worked for me with the RasPi 3 and a FritzBox 3370 attached to it. Thank you very much for the tutorial. It helped me greatly. comes up here which says “file or folder not found” and yes, I used two dashes. What can I do or am I doing wrong? The FORWARD policy (first line) is ACCEPT. That is, every packet not matching the two following rules will be accepted. Both rules have an ACCEPT target. Finally, *every* packet will be accepted ! So what is the purpose of these two FORWARD rules ? Keeping only the FORWARD ACCEPT policy and adding no FORWARD rules should do exactly the same job. Could someone explain me what I missed ? I’ve tried your instructions on a RPI3 including the amended one, and I cannot get it to work. Is it possible for you to please provide an image of your sd card so I can flash it directly onto mine and see if it works? Using e.g. wetransfer as above? I’m afraid I won’t have access to the image for about a fortnight, but I’ll try and post it then. It is quite an old image, so may need a bit of updating to run on Pi2/3. That’s fine. Thanks a lot for your efforts. I have no problems updating the images. 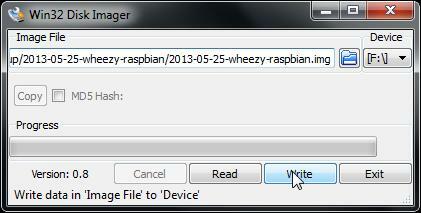 Also, does your latest image have the fix you mentioned in another post to work with later iterations of raspbian? I managed to fit in a few hours in my Pi today, and having looked at the latest Raspbian image it was apparent that the original article (written in 2013) is now wildly out of date, and will not work with the present system. This is because of changes in the distro regarding the way that it likes to set up ip addresses in the ethernet and wireless interfaces. I decided that the only way to sort things was to start again from scratch. After quite a lot of head scratching and trying out various solutions I believe that I now have a working solution for the latest distro. I want to test it a little more, but I intend to write an updated article which I hope will get you and others trying to set up this system going. It will take a little time, (especially as my Daughter is about to have a baby and that will occupy some of my time!) but I hope it will be worth waiting for. Tried the steps, but still unable to get it working on my setup. Is it possible for you to send me a link of your rpi3 image with the working wifi to Ethernet ‘bridging’? I think it might be due to my current configuration on the rpi3, but am not exactly sure. The reason is i’m not linking the wifi to a TV, but camera (similar principles) and the other side to a computer so I can control it remotely. If your image works on my rpi3, i’ll know it’s my configurations and figure out how to get it all working. If it still doesn’t work, then i’ll know it’s probably camera related. great article. The only problem i have with that setup is the two different subnets. one for eth0 and one for wlan0. is there a way to have both of them in the same subnet so they can see each others IPs? As this is currently envisaged the answer is no, as this is a router which routes between two separate networks. What you need is a bridged system, but when I spent some time looking at this (a year os so ago) the wireless dongles I was using were unable to support the modes to get this going. 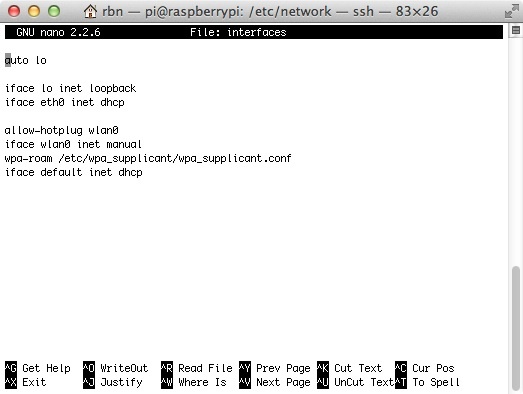 It may be possible to set up something using openwrt which seems to be available on the Pi https://wiki.openwrt.org/toh/raspberry_pi_foundation/raspberry_pi There are articles on using openwrt to set up a bridge of the form you want https://wiki.openwrt.org/_detail/doc/howto/802.11-routed-relay.png?id=doc%3Arecipes%3Arelayclient look promising. I will try and have a look at this as I am interested in a solution as well,but it may be some time before I can do this. sudo iptables -t nat -L.
Updated version coming soon which will work on the latest Raspbian distro. I continued to surch during a day or two, and finaly made it work. 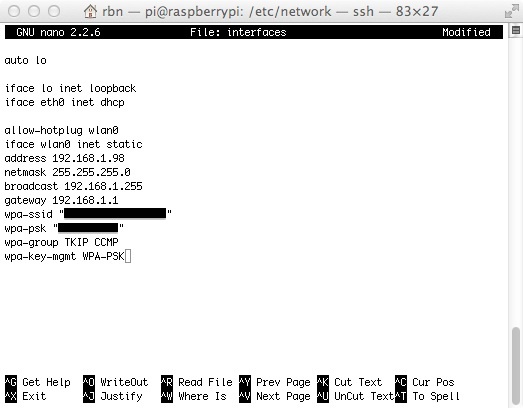 I connected the raspberry pi on the wifi with the graphical interface, and the ethernet on manualy (on /etc/network/interfaces). Just added “metric 300” at the end of eth0 configuration. I wanted to try everything, and then forgot it. Don’t know if it changes anything or if that wrong, but i don’t want to remove anything now it’s working. I’ll try it later. About the routing table: I think it’s the same as yours. The only gateway is the one on the wlan0, the other one is deleted during the startup. And… I think that’s all. Thank you for your answer and your work anyway, it’s super usefull! Well spotted. I’ve now corrected this. Many thanks. to ethernet adapter for an ethernet-ready TV | rbnrpi. Following your guide, I am able to get wired only PC connect to the internet via Pi3 through home wifi router, however, I found that the wired only PC is not on the same subnet as other PCs connected directly to the wifi router. Is it possible to connect these two subnets together? It was only intended to connect my TV to the internet, which it does. Connecting to other PC on the network is beyond the scope of this project.